Our goal is to connect people with the best local experts. We scored landscapers on more than 25 variables across five categories, and analysed the results to give you a hand-picked list of the best landscapers in Tulsa, OK.
Barry’s Sod is a Tulsa team of landscapers that specializes in sodding services. Based in Broken Arrow, Barry’s Sod installs Bermuda grass sod, Fescue grass sod, and Zoysia grass sod for all kinds of jobs, including highway construction, industrial, educational, and residential sites. They believe new sod installation requires very little maintenance compared to seeded or sprigged lawns, which need years of care. The company’s trained employees also have experience in lawn rejuvenation. Barry’s Sod has served the local area for a decade. Chase Lawn & Landscape is a Tulsa team of landscapers that has served Eastern Oklahoma since 2009. Chase Lawn & Landscape specializes in seasonal care for residents and businesses, including tree trimming, snow removal, Christmas light installation, irrigation winterization, weed treatment, and sodding. Chase O’Shea founded Chase Lawn & Landscape at the age of 14, and has grown the business from a boy with a lawn mower to a full-service landscape management company. Elite Outdoor Services is a team of Tulsa landscapers founded in 2003. The business started out as a lawn care service and has grown since then into a full service landscaping business, which installs landscape lighting, puts up Christmas lights, mows lawns, and installs irrigation systems. Elite’s team has more than 12 years of experience in the area. Customers attest to the employees’ professionalism, efficiency, and creativity. Elm Creek Landscape and Design is a Tulsa landscaping company based in Bixby. The business is accredited by the Better Business Bureau with an A+ rating, and is a Thumbtack Gold Member. Elm Creek is also a member of the Oklahoma Landscape and Nursery Association. Its services include flower bed maintenance, landscape installations, lawn mowing and edging, weeding, and landscape design. Customers leave positive reviews for the company’s great work and creativity. Gorilla Brothers Landscape & Remodeling is a Tulsa landscaping company based in Owasso. Home Advisor rated Gorilla Brothers an Elite Service, and the Better Business Bureau has given it an A+ rating. The company’s landscaping services include water features, fences, mulching, seeding, lighting, decks, and system installations. Customers attest to Gorilla Brothers’ expert service, dependability, honesty, and hard work. Grass Solutions is a Tulsa landscaping company based in Owasso. Landscaping services include irrigation, landscape design, features lighting, hardscaping, fertilizing, aeration, weed control, and lawn and tree and shrub care. The business was a winner of the 2015 Readers’ Choice Awards in the Best of the Best in Owasso and offers free work estimates. GreenPro LLC is a Tulsa landscaping company that has served the area since 2010. The business serves home and business owners with fertilizing, weed control, water features, drainage, irrigation, and outdoor lighting. GreenPro Outdoor Services’ team cites a love of people and a focus on customer service in its landscaping jobs, and customers attest to the company’s eye-catching work and tendency to go the extra mile. H&H Outdoor is a team of Tulsa landscapers based in Jenks. H&H aims to build long term relationships with its customers with high quality standards, and serves both residential and commercial customers in the area. The company’s services include outdoor lighting installation, outdoor living design, lawn care, fertilization, weed control, and irrigation. Customers have praised the team’s professionalism on the job. Mow-Town Outdoors is a Tulsa landscaping company that specializes in lawn care. 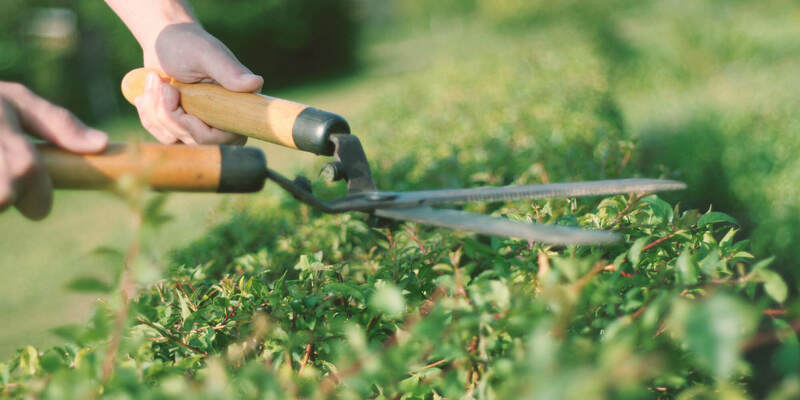 The business gives flat rates for its services, which include weed control, fertilizing, tree and shrub maintenance, holiday lighting, and leaf removal for home and business owners. The company will also plant seasonal flowers and plants to maintain a colorful, standout yard year-round. NewLawn and Landscape is a Tulsa landscaping company that serves commercial customers. Based in Broken Arrow, the business is a certified, family-owned company that has been in the Tulsa area for more than 10 years. NewLawn is accredited by the Better Business Bureau with an A+ rating. Its services include snow plowing, sprinkler installation, hardscape installation, mowing, and trimming. The owner has more than 30 years of experience in the industry. Oklahoma Landscape is a team of Tulsa landscapers that has served the area for more than 30 years. Centrally located in Tulsa, the company’s residential and commercial services include fertilization, weed control, mosquito control, aeration, grub control, and shrub care. Customers have praised the team’s listening skills, efficiency, and attention to detail. Oklahoma Landscape aims to educate its customers on how they can preserve their lawns for years to come. Outdoor Creations is a Tulsa landscaping company that serves home and business clients. The business specializes in a variety of services, including decks and patios, exterior remodeling, outdoor fireplaces, French drains, and hardscaping. Customers attest to the company’s reasonable prices, dependability, and helpfulness. Proactive Landscaping is a Tulsa team of landscapers based in Broken Arrow. Proactive’s employees have more than 20 years combined experience in landscaping and lighting, and the business gives a 10-year warranty on lighting fixtures and transformers. The company’s services also include mowing, hedge trimming, tree pruning, and debris removal. Rated Best of Thumbtack in 2015, Proactive Landscaping has received praise for its team’s professionalism and responsiveness. Roark Landscaping is a Tulsa landscaping company founded more than 20 years ago. Roark is a member of PLANET and the Oklahoma Nursery and Landscape Association. The business serves home and business owners with fertilizing, landscape design, and insecticide implementation, and aims to use eco-friendly chemicals when possible. Customer reviews attest to the company’s eye-catching work. SuperScape is a team of Tulsa landscapers available on call 24/7. The company’s employees have more than 30 years of combined experience in the landscaping industry, and the Better Business Bureau has given the company an A rating. SuperScape serves home and business owners with lawn maintenance, fertilizing, removal, mulch installation, landscape lighting, and drainage systems. Tom’s Outdoor Living is a Tulsa landscaping company that serves residential and commercial customers. Its landscaping services include landscape design, outdoor lighting, mulch, and water features. The company also provides enhancements like patios, outdoor furniture, outdoor kitchens, irrigation, and holiday lights. Customers attest to the team’s professionalism, personable personalities, and great work ethics. Houzz has featured Tom’s Outdoor Living on its site.